From the expiration of the term of President Michel Suleiman in May 2014 until October 31, 2016, the parliament was unable to obtain the majority required to elect a president, and the office was vacant for almost two and a half years, despite more than 30 votes being held. 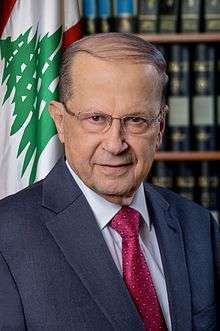 In response to the deadlock, Michel Aoun suggested amending the constitution to make the presidency popularly elected. Under the proposal, Lebanese Christians would choose two candidates who would run in a national election in which all voters were eligible to participate. On October 31, 2016, parliament finally elected Michel Aoun as President. The constitution requires the president hold the same qualifications as a member of Parliament (also called the Chamber of Deputies), which are Lebanese citizenship and attainment of the age of twenty-one. Though not specifically stated in the constitution, an understanding known as the National Pact, agreed in 1943, customarily limits the office to members of the Maronite Christian faith. This is based on a gentlemen's agreement between Lebanon's Maronite Christian President Bechara El Khoury and his Sunni Muslim Prime Minister Riad Al Solh, which was reached in 1943, when Lebanon became independent of France, and described that the President of the Republic was to be a Maronite Christian, the Prime Minister a Sunni Muslim, and the Speaker of Parliament a Shia Muslim. As described in the constitution, the president is commander-in-chief of the Lebanese Armed Forces and security forces; may appoint and dismiss the prime minister and cabinet; promulgates laws passed by Parliament; may also veto bills; and may dissolve Parliament. In practice, however, Lebanon being a parliamentary republic, the president is essentially the repository of reserve powers and the office is largely symbolic. The presidential palace is the Baabda Palace, located southeast of Beirut. Thirty to sixty days before the expiration of a president's term, the speaker of the Chamber of Deputies calls for a special session to elect a new president, which selects a candidate for a six-year term on a secret ballot in which a two-thirds majority is required to elect. If no candidate receives a two-thirds majority, a second ballot is held in which only a majority is required to elect. An individual cannot be reelected president until six years have passed from the expiration of his or her first term. The Constitution is silent on the issue of the quorum needed to call to order a parliamentary presidential electoral meeting. In the absence of a clear provision designating the quorum needed to elect the President, the constitution is open to differing interpretations. According to one view on the issue, a quorum constituting a majority of fifty-percent plus one (that required for any meeting of Parliament) is sufficient for a parliamentary presidential electoral meeting. Another view on the issue argues that the quorum is a two-third majority of the total members of Parliament as Article 49 of the constitution requires a two-third voting majority to elect the President in the first round and, if the quorum were half plus one, there would have been no need to require the two-third voting majority when the number of deputies present at the meeting does not exceed the quorum. The president's car is a W221 Mercedes-Benz S600Guard armoured limousine and it is escorted by the Republican Guard's SUVs and other security vehicles including the preceding official state car, an armoured W140 S600 now possibly used as a back up limo. This article incorporates public domain material from the Library of Congress website https://www.loc.gov/law/help/lebanon-election.php. ↑ "Lebanese MPs fail to elect president for eighth time". Reuters. 2 July 2014. Retrieved 15 July 2016. ↑ "Why Lebanon Cannot Pick a President". stratfor.com. Stratfor. Retrieved 15 July 2016. 1 2 3 4 Collelo, Thomas (1987). Lebanon: A Country Study. Government Printing Office. ISBN 0160017319. 1 2 Harb, Imad. "Lebanon's Confessionalism: Problems and Prospects". usip.org. United States Institute of Peace. Retrieved 15 July 2016. 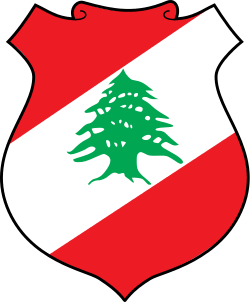 ↑ "Lebanon - Constitution". unibe.ch. International Constitutional Law Project. Retrieved 15 July 2016. ↑ Mordechai Nisan, Minorities in the Middle East: A History of Struggle and Self-Expression (2d ed. : McFarland, 2002), p. 219. 1 2 Saliba, Issam. "Lebanon: Presidential Election and the Conflicting Constitutional Interpretations". loc.gov. Library of Congress. Retrieved 15 July 2016.